Plagued by cost overruns and a $4.2 billion deficit, Taiwan’s National Health Insurance set out in 2012 to find out what lay behind the problem. The results were a mixture of the expected and unexpected. Other cities, it turned out, were not paying their fair share, so the entire cost fell on Taipei. At the same time, patients were visiting hospitals more than anywhere else in the world and being prescribed many more drugs than they needed or could ever take. In one instance, a patient who suffered from a range of ailments from high blood pressure to heart disease and asthma was given enough pharmaceutical products to last him 22 years, said Lee Chun-fu, an official with the Bureau of National Health Insurance that runs Taiwan’s health care system. The issue of overprescription of pharmaceuticals can be seen not only in Taiwan but around the world. The World Health Organization estimates that as many as half of all medicines are inappropriately prescribed, dispensed or sold. Overprescription of medicine and overtreatment is emerging as a significant problem across Asia, one that governments are working to address. For WHO, the concern is health related. Medicines that are not prescribed properly can lead to health problems. Take antibiotics, for example. If not properly prescribed and taken, they can lead to the emergence of resistant bacteria. This is already a problem with diseases such as tuberculosis, of which there are resistant strains emerging globally. “Antibiotic resistance is rising for many different pathogens that are threats to health,” said Tom Frieden, director of the U.S. Center for Disease Control and Prevention. Another problem is fiscal. Improper or overprescription of drugs leads to huge cost overruns. This may be most visible in Taiwan. Taiwan’s health care system operates through a national health insurance, which covers the entire population. Hospitals buy drugs directly from drug companies and sell them on to patients, although the National Health Insurance covers most of the cost. The larger hospitals have the clout to negotiate steep discounts with the pharmaceutical companies and can make a tidy profit in the difference between what they pay for a drug and the fixed price that the government pays them. It benefits doctors to prescribe as much as possible. A spokesperson for the National Health Insurance Civic Surveillance Alliance said the system puts a cap on prices for medicines but not on the quantities that are prescribed or distributed. This “black hole” costs around $340 million a year. In the last 15 years or so, Taiwan’s health care system has racked up some $4.2 billion in deficits. The problem is hardly unique to Taiwan. Japan, which also has a well-established system of universal care under its national health insurance, has been under severe stress for several years, notes McKinsey & Co Ltd, a management consulting firm. Part of the problem is that rising wealth across the country encourages people to seek more care that combines with a lack of centralized controls over the allocation of resources. Japan’s system of health care, known as kaihoken, was established in 1961. But in the past few years, a shortage of doctors has emerged. McKinsey’s 2011 findings note that some doctors see as many as 100 patients in a single day. Under such high levels of turnover, they tend to overprescribe drugs. This also helps the clinics that own in-house pharmacies. A strategy that Japan has adopted to contain costs is to limit services, such as magnetic resonance imaging equipment or expensive drugs, which are seen as inflating costs. The government has also put in place a cost-containment plan for health care that focuses on changing behavior and shortening hospital stays, said The Commonwealth Fund in a report. Because the system is almost free to use, some procedures done in a day in the West may require several days stay in hospital. Hernia operations are a case in point. In Indonesia, which has a new plan to fund more care around the country, health care expenditures is rising rapidly. One cause is overprescription. As many as 70 percent of all antibiotics are sold without prescriptions and 90 percent of injections are unnecessary, noted WHO. Governments across Asia are working to extend health care to greater portions of their population but this is easier said than done as costs increase and funding models open the door to abuse. The challenges are visible not only in Asia but in the United States as well, where President Barack Obama is still facing criticisms over a health insurance reform scheme many see as ill-advised. Costs are also ballooning in Thailand, which reformed the way it finances its public health system in 2002. Famously inexpensive compared with other places in the region ― it is common, for example, for people in Hong Kong to travel to Thailand for minor surgery or dental treatment. Costs are rising there too. A heart bypass which can cost as much as $130,000 in the U.S. or $18,500 in Singapore, can be carried out for $11,000 in Thailand. The National Health Security Office is working to reduce costs, according to WHO. Still, Thailand spends about 1 percent of its GDP on private health care expenditure compared with 4.5 percent in Cambodia, 1.5 percent in Indonesia and more than 2 percent in China. Ballooning costs, driven by overtreatment, may be most visible in China, where the problem is also emerging as a key constraint. Beijing is working to extend health care coverage to 90 percent of the population or more and that is pushing costs up. McKinsey anticipates that China will spend as much as $1 trillion by 2020 on health care, almost three times as much as today. That will lift total health care spending to 7 percent of GDP, up from 5.5 percent in 2010. “Overtreatment is very common in China. It happens basically in every hospital,” says John Cai, director of the Center for Health Care Management and Policy with the China Europe International Business School. The best examples are the overuse of antibiotics and intravenous therapy. Hospitals are constantly packed with patients taking or waiting to take intravenous therapy. 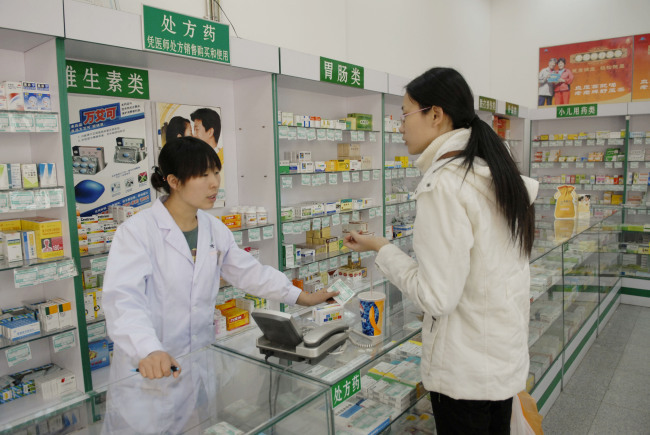 Deng Haihua, vice-director of communications with the National Health and Family Planning Commission, last year said that although the overuse of medicine was a common concern, reports of overuse of intravenous fluids were exaggerated. The commission is now working to improve regulations and improve training. The problem is not just with the use of drugs. Unnecessary surgical procedures are frequent. Heart patients, for example, are often encouraged to have heart stents implanted regardless of their condition. In China, there are about 15 stents implanted for every single bypass surgery. In most other countries the rate is about half that, said Wang Hufeng, director of the Health care Reform Center of Renmin University of China, Beijing, during an interview with CCTV. With a large population and an unbalanced distribution of health care resources, China faces a difficult problem.